Dan Pratt "Propellant Enhanced Perforating and Stimulation"
Abstract - “Propellants” are used for numerous and various applications, in multiple industries worldwide. Specialized materials, designed and used as completion stimulation tools for oil and gas wells, can significantly improve ultimate well performance. Propellants have application in all formation types but have shown the most potential benefit in semi-consolidated to fully consolidated rock. When used in consolidated formations, along with perforating, propellant use can create from simple cleanout of the perforation compaction zone and debris, commonly referred to as skin, to a true fracture network. Propellants used in previously perforated wells can be used to reenergize/re-stimulate well production and assist in emulsion, wax and asphaltine clean out. Alternate propellant tool designs have been created for stimulation of long interval open hole or perforated casing. More recent propellant developments, used in conjunction with perforating for the unconventional, horizontal shale market, assist in lowering breakdown pressures during hydraulic fracing (a pre-frac), provide for better frac communication, reduce the need for acidizing and increase the wells’ SRV (stimulated reservoir value) potential. This presentation will compare some of the different propellant products available today, look at their various applications, and analyze some of the pros and cons of each. Bio- Dan W. Pratt is Vice President of Technology for Owen Oil Tools LP, a division of Core Laboratories. He has over 40 years working in the areas of design and manufacture of oil-field explosives products, more specifically with oil field perforators or shaped charges. Dan's areas of interest include assessment of formation damage caused by jet penetration and charge design to enhance productivity and minimize formation damage. Dan holds undergraduate and graduate degrees in Chemistry, Engineering and Physics from the University of Texas at Arlington. He is an inventor on numerous U.S and foreign patents related to the design of shaped charges, shaped charge liners, materials used in their manufacture and propellant stimulation. $20 if paid before December 10. $25 if register before December 10 and select pay at door. Note the email invoice will show $20, $25 will be charged at the door. The SPE Event hosting is having intermittent issues with payment options. If you have issues please email speevangelinesection@gmail.org with your registration information and we will have a list at the door. If you have trouble registering try disabling the pop-up blocker in your web browser. 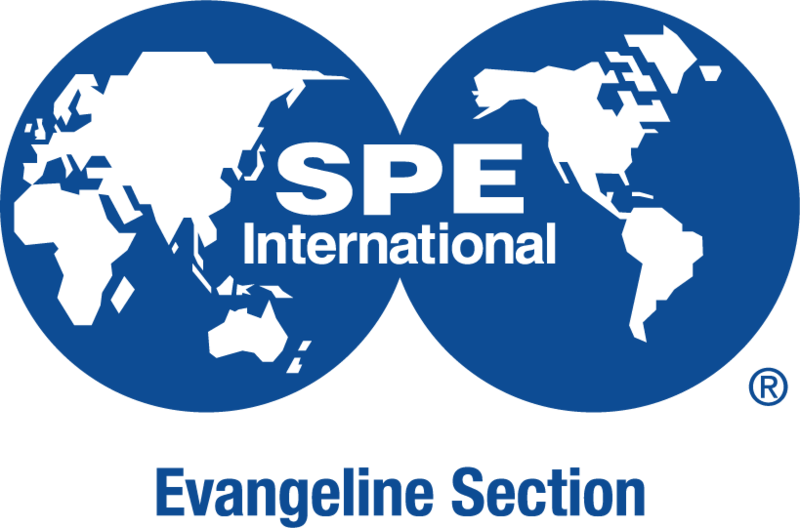 If you continue to have problems contact speevangelinesection@gmail.com. To receive a Continuing Education Credit please email Continuing Education Credit Certificate and a PDF will be sent to you.